The Two Gay Geeks received this press release from our friend, Mona, at ILDKMedia. As everyone knows we are huge supporters of independent creators and especially this in the LGBTQ community. As we push for more inclusion for women in front of and behind the camera, this is a great opportunity for education, empowerment, and networking. Have a read for more information. Las Vegas, NV – Standing tall and strong as the largest convention for LGBTQ+ women and allies, ClexaCon continues to affirm its unwavering commitment to focus on the power of queer women to create massive, meaningful and lasting change in front and behind the camera. Returning to Las Vegas’ famed Tropicana Hotel April 11th through April 15th, 2019, for its third consecutive year, the one-of-a-kind event will once again bring together actresses, directors, producers, writers, comic book illustrators, visual artists, academics, journalists and fans from over 40 countries and all 50 U.S. states to celebrate the best of LGBTQ+ TV and film. 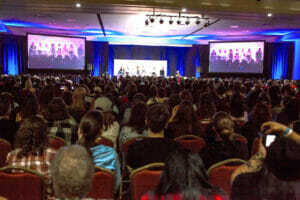 Fans will have a chance to attend a series of panels on a variety of topics, workshops, charity events, parties, a red-carpet soiree as well as a three-day film festival. Bringing their “A” game, Ashley Arnold and Danielle Jablonski – the masterminds behind the hugely popular convention – are not just shaking things up this year, they are changing the game too. 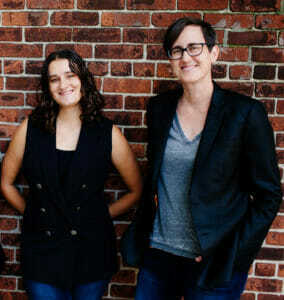 The duo is decidedly cranking up the decibels on ClexaCon’s mission to push forth its enduring message of diversity, equality and inclusion of LGBTQ+ women in entertainment at various levels of the industry. Putting an extra laser-focus this April on the importance of education and academics, ClexaCon strives to empower and inspire more LGBTQ+ women to get involved in content creation while simultaneously embolden allies to improve representation for LGBTQ+ characters in their creative work. Impressively drawing some 4,000+ attendees from over 40 countries last year, ClexaCon is on track for another impressive year. As we keep witnessing the proliferation of the #RepresentationMatters hashtag across social media platforms, the message is clear: we’re in desperate need of more diverse voices. This is why the Con continues to provide educational resources for the community to aid in the push for better representation. Its goal is to teach and motivate more LGBTQ+ women to participate in creating the stories that actually reflect America’s evolving cultural landscape. LGBTQ representation on television in 2018 hit a record high this year, according to GLAAD’s annual TV diversity report. Sadly, the same can’t be said about its Hollywood counterpart. The GLAAD report found that filmmakers and producers miserably failed to include LGBTQ+ characters in their work. “While we’ve made considerable strides in moving the needle culturally, there’s still not enough queer women creating content,” say Danielle Jablonski, “we need to counter the roadblocks Hollywood continues to put in front of us and provide more avenues to educate and teach the next generation of LGBTQ+ women about how to tell their stories and get their content out to the world”. To that end, ClexaCon is proud to be collaborating with some of the top industry institutions and LGBTQ+ players in Arts & Entertainment. 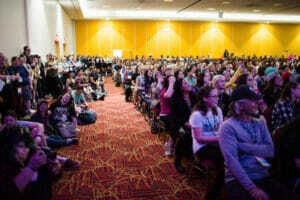 SAG-AFTRA, YouTube Space L.A., Dash Production, Tello Films, Outfest and UNLV, are all on track with ClexaCon’s mission to act as a catalyst for change and work to advance professional achievement for LGBTQ+ women working in all areas of film, Television, video, digital streaming platforms and other screen-based media. 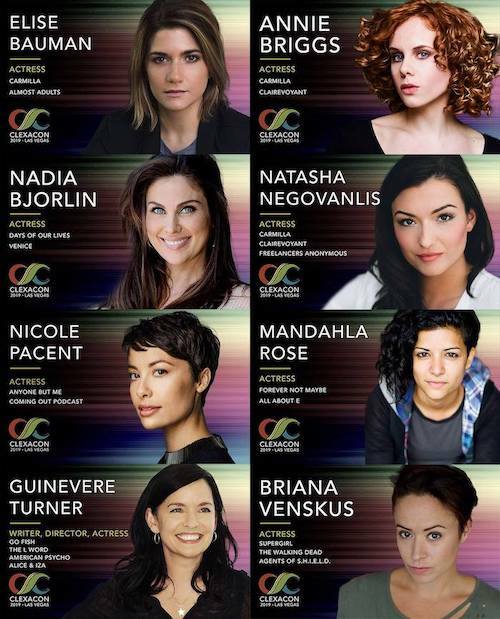 Remaining at the forefront of the fight to put queer female stories front and center, ClexaCon will kick-off the 5-day convention on April 11 with a creative new concept: a one-day event with two different Labs respectively filled with panels, workshops and networking. The Creators Lab, in partnership with SAG-AFTRA, YouTube Space L.A., DASH Productions and Tello Films, aims to inspire and empower the next generation of LGBTQ+ women, trans and non-binary creators. The Academic Lab, in association with The University of Nevada Las Vegas (UNLV), will welcome queer academic fans of queer content, Scholars/educators of queer fandom to educate, energize and invigorate the next generation of academics. Also new this year is the exclusive collaboration with Outfest – one of the premier LGBTQ film festivals in the world – that will see the winner of Best Short Film at the ClexaCon 2019 Film Festival receive automatic inclusion in the Outfest Film Festival in 2019. 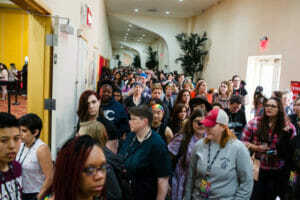 Once again turning Sin City’s Tropicana Hotel into the ultimate entertainment hub, ClexaCon 2019 will rally under one roof some of the community’s most prominent figures on television. Fans will have a chance to rub elbows and connect with the likes of Annie Briggs (Carmilla), Briana Venskus (Supergilr, The Walking Dead), Caity Lotz (Legends of Tomorrow), Chantal Thuy (Black Lightning), Crystal Chappell (Venice), Dominique Provost-Chalkley (Wynonna Earp), Dot Marie Jones (Glee), Elise Bauman (Carmilla), Emily Andras (showrunner, Wynonna Earp, Lost Girl), Guinevere Turner (Go Fish, The L Word), Isabella Gomez (One Day at a Time), Jes Macallan (Legends of Tomorrow), Katherine Barrell (Wynonna Earp), Katrina Law (Arrow, Spartacus), Maisie Richardson-Sellers (Legends of Tomorrow), Mandahla Rose (Forever Not Maybe), Nadia Bjorlin (Days of our Lives), Nafessa Williams (Black Lightning), Natasha Negovanlis (Carmilla), and Nicole Pacent (Anyone But me), to name a few. Strengthening its philanthropic values, this year’s ClexaCon Cocktails for Change and Fun Run will be benefiting The Visibility Fund – a non-profit organization dedicated to supporting LGBTQ content creators. Your thoughts and opinions are important to us, so please leave a comment in the section below the article, and if this is your first time visiting please be sure to read the Privacy / Terms and Conditions Of Use.And Please, Play Nice!